Hello everyone, if you live in the USA. It's a great news!! 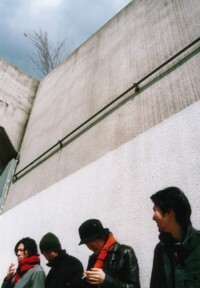 Stiff Slack's release math rock band called "BALLOONS", they will ATTACK there soon!!! And their 1st album "9:40 PM" will release through 5440 OR FIGHT! in 3 May VERY SOON!!! If you interersted them, You can buy from Cooper Press , NAIL DISTROand AMAZON USA. Please check it!!PLEASE!!! We would LOVE to you go to their show if they play in near place. Also please send e-mail us your question, if you have. We are SO EXCITED about this! We can't believe this happening! Ok, under is tour schedule! !